The Law of Attraction doesn't work for my Health - Why? 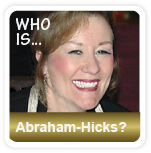 Home » Health & Wellness » The Law of Attraction doesn’t work for my Health – Why??? It’s amazing how many people say that the Law of Attraction doesn’t work, yet those same people can see how their friends talk themselves into being ill. It’s always easier to see what other people are doing wrong, than to be able to see what we ourselves are doing wrong and correct it. Henry Ford, the inventor of the motor car, once said: “whether you think you can or you think you can’t, you’re right”. And there in that short sentence is the truth of the matter. You, yourself design your destiny. Science has shown us over and over that mindset is the key to wellness. The most effective way to demonstrate this is by looking at clinical trials. The most revealing data in each control study is the results in the placebo groups. Unlike those testing the drugs, the patients in the placebo groups have no reason to see improvements in their conditions. Yet in most trials improvements are seen. The very idea that they may get better creates improvements. Now imagine how effective it would be if you came from a standpoint of certainty. What if you knew you would get better, and that you had complete faith that your treatment would conquer your illness? How effective would that be? The results could quite literally be life changing. The bi-products of any disease are stress and worry. Worry about how bills will be paid, who will take care of the family, or even what the worst results could be. As we picture the dreadful outcomes in our mind we are like magnets drawing the future to us. We need to stop doing what make us sick. We need to stop worrying and start focusing on something that makes us feel good. It can be anything, as long as it feels good. Remember that science has proved – over and over again – that positive thoughts will make you better. If you can’t find anything to feel good about, then focus on the present moment. This will distract you from your worries. When you interact with people, don’t spend time in your head thinking about what they might think or feel about you etc. Stay connected to your own source of love and don’t get distracted by anything around you that isn’t pleasing to you. Look for beauty in every moment. This shift in focus/mindset will create different emotions within you so that you can attract new circumstances in your life. Not only will you feel happier but your immune systems will strengthen as well. 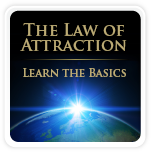 So how do we get past that idea that the law of attraction doesn’t work? How do we take control of our inner doubts? The answer is simple – change your focus and start focusing on things that make you feel good. Meditation and/or hypnotherapy can be very helpful if you need to change your mindset. For example, meditation and hypnotherapy can help still your conscious mind’s constant nagging that the law of attraction doesn’t work for your health, and allow the subconscious mind to take a different track. In the meditation and/or hypnotherapy sessions, you will be rehearsing the effects of positivity, and allowing the body to relearn concepts. This will create a whole new attitude to healing. Your brain will start releasing new chemicals which support the idea that the illness can be beaten. Hormone levels will change and your body will start doing what it needs to do in order for your body to heal. In the end though, to a certain extent, surely taking a happier view point is better than sitting brooding all day. If concentrating on getting better is all you have to depend on, even if you have the suspicion the law of attraction doesn’t work, what have you got to lose? Use the law of attraction for your health and deliberately create what you want to attract. Meditation is a wonderful tool to help quiet the mind from the negative self-talk that normally fills our day, even without our being aware of it. Becoming aware of the negative self-talk is one of the first steps in successfully changing the messages (affirmations) we are sending to the Universe. Positive thoughts, feelings, and energy will result in a healthier and happier life.